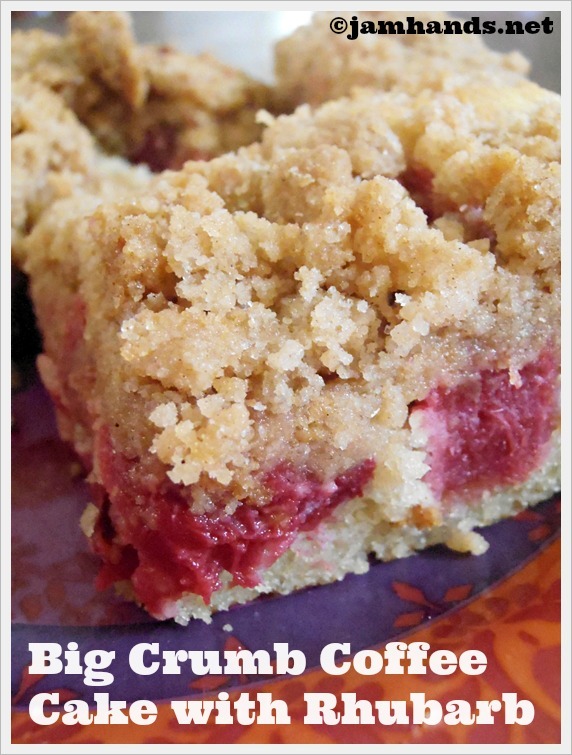 I tried out this delicious recipe from the wonderful blog Smitten Kitchen. The only thing I forgot was to add a dusting of powdered sugar on top. I love rhubarb so this was a winner. Enjoy! 6 tablespoons softened butter, cut into 8 pieces. 1. Preheat oven to 325 degrees. Grease an 8-inch-square baking pan. For filling, slice rhubarb 1/2 inch thick and toss with sugar, cornstarch and ginger. Set aside. 2. To make crumbs [this step now updated, see comment #150] in a large bowl, whisk sugars, spices and salt into melted butter until smooth. Then, add flour with a spatula or wooden spoon. It will look and feel like a solid dough. Leave it pressed together in the bottom of the bowl and set aside. Recipe from Smitten Kitchen. Sharing this recipe at the following fun link parties. My mouth is watering! These pictures look amazing…must pin asap! This would indeed be divine. Love rhubarb buy have shied away from preparing it myself. I may need to belly up and do it. I may have to make this for the fair if I enter this year! Sounds so good. 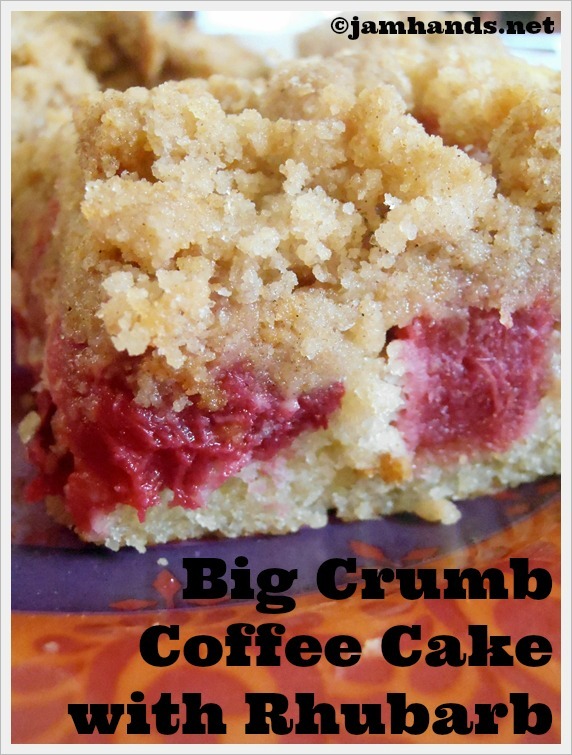 Crumb coffee cakes are my weakness! This is totally irresistible! Love the rhubarb.